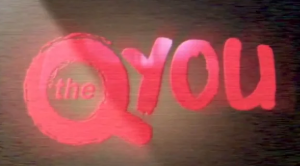 ‘Best of the web’ channel provider QYou Media has struck a deal with Ericsson to use the latter’s Unified Delivery Network (UDN) platform, designed to provide an alternative to traditional CDNs by enabling content providers to reach Ericsson’s customer base of service providers. Under the pair’s deal Ericsson will deliver QYou content over the UDN to existing customers while also introducing QYou’s millennial-focused programming to Ericsson’s service provider customer base. Ericsson said that the ad-supported content distribution model is designed to create new opportunities for QYou, Ericsson and service providers. In addition to delivering QYou’s content via the UDN, Ericsson will also distribute The QYou app on connected TVs and set-top boxes. There will also be provision for The QYou to add localised content to new connected devices and new markets.